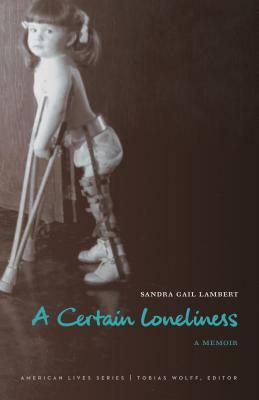 After contracting polio as a child, Sandra Gail Lambert progressed from braces and crutches to a manual wheelchair to a power wheelchair—but loneliness has remained a constant, from the wild claustrophobia of a child in body casts to just yesterday, trapped at home, gasping from pain. A Certain Loneliness is a meditative and engaging memoir-in-essays that explores the intersection of disability, queerness, and female desire with frankness and humor. Lambert presents the adventures of flourishing within a world of uncertain tomorrows: kayaking alone through swamps with alligators; negotiating planes, trains, and ski lifts; scoring free drugs from dangerous men; getting trapped in a too-deep snow drift without crutches. A Certain Loneliness is literature of the body, palpable and present, in which Lambert’s lifelong struggle with isolation and independence—complete with tiresome frustrations, slapstick moments, and grand triumphs—are wound up in the long history of humanity’s relationship to the natural world. Sandra Gail Lambert is a writer of both fiction and memoir. She is the author of The River’s Memory. She was awarded an NEA fellowship based on an excerpt from A Certain Loneliness.